Roell Painting Company is a full service painting contractor that services the exterior and interior painting needs of clients in Minnesota and surrounding states. Whether it is deck staining, door painting or a complete interior or exterior repaint, our clients want the assurance that they are getting high quality, competitively priced work that is performed with the utmost integrity and professionalism. If there's one thing we know, we are only as good as our last job and referrals are the lifeblood of our business. This is precisely why we view every home, as well as every pocketbook as if it were our own. It's an absolute privilege to serve our clients, and we look forward to solidifying the trust they have placed in our hands and brushes. 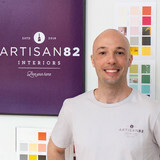 Specializing in residential repaints, Artisan82 uses proven processes and the finest materials to achieve beautiful, lasting results for discerning homeowners. As the Founder I've developed innovative techniques designed to minimize the inconveniences sometimes associated with home improvement in favor of maximizing homeowner satisfaction and comfort. I'm a Michigan native and football fan—go Wolverines!—who relocated to Minnesota in 2016. I'm passionate about helping people and making the world a better place, which is in part what inspired my service in the 82nd Airborne Division. In my free time, I enjoy sampling local donuts, listening to some of my favorite podcasts (Lore and School of Greatness, to name a couple), and all things comedy or horror. I loves dogs as well. United Wall Systems prides itself on the expert quality of its work and the high level of customer satisfaction it has achieved. With over 40 years of experience we know how to get the job done right the first time. We specialize in new stucco applications and restoration of existing stucco. (re-dashing) We are repair specialist. Highly skilled certified plasterers that are professional, reliable, local craftsman. We are experts at plaster and drywall repair on walls and ceilings. Water damage, cracks or other imperfections can be repaired by our certified plasterers. We can match any existing texture or apply a new one. Popcorn ceilings can be replaced with a more up to date texture. We are professional, neat, easy to work with and our rates are reasonable. We offer free onsite consultations. Multiple references are available from a long list of satisfied customers. Fourth generation certified master plasterers specializing in plaster repair of walls & ceilings, drywall restoration, water damage repair, skim coating and popcorn texture removal. Coachman Painting is a family-owned company dedicated to pleasing customers for two decades. Attention to detail and professional and honest work have resulted in many repeat customers and referrals. Jobs completed include interior and exterior painting, staining and enameling, power washing and handyman repair work. We would be pleased if you are our next satisfied homeowner. Coachman Painting, Inc. was established in 1997 and has been responsible for providing outstanding service ever since. Services provided include interior and exterior painting and staining for residential and commercial clients. We also offer power washing and repair work. Our regular customers value our personal service. Dukes Painting is owned by Midge, a professional and friendly painter with a focus on quality. Midge works to ensure that your expectations are always exceeded. She is timely and reliable, and provides free consultations. Whether you have one room, or you need your entire house repainted, Dukes Painting is the place to call. Moving preparation and rental turn-over specialists! Reach out today for your free estimate. At Mint Painting, we are focused on providing homeowners, real estate professionals, facility managers, builders and business owners with the highest levels of customer satisfaction & we will do everything we can to exceed your expectations. Our business has been built on customer referrals and we are happy to provide a full list of satisfied clients as references. Steven Sampson’s Painters is a full service interior and exterior residential and commercial painting company. We are very proud of our reputation for having exceeded our customers’ expectations for over 40 years. Our goal is to provide the highest level of customer service and quality workmanship to all of our projects. Steven and his crews recognize that thorough preparation is essential to achieve the highest quality results. We prime the bare wood on exteriors twice, thinning the first coat for maximum penetration. These primers are dashed with the topcoat and only then are these surfaces painted with high quality topcoat finishes. Sampson’s interior projects are treated with the same diligence and attention to detail. All this in the interest of exceeding customers’ expectations. They are an established, professional, full service Minnesota painting company specializing in interior and exterior painting on residential and commercial properties. Sampson's Painters prides itself on using only the highest quality materials and their experienced full-time professionals, will provide the highest quality workmanship and service to you, guaranteed. Fresh Coat of Central Minnesota is a professional painting company that serves St. Cloud and all of Central Minnesota, from Maple Grove to Alexandria. We offer a wide range of interior and exterior painting and related services, and we approach every project as if we were painting our own home. Whether you're looking to have your home painted, or you want to upgrade your office space or business, you can count on Fresh Coat to deliver top quality painting services at a price that you can afford. We can handle all your painting, staining and wood finishing needs, inside or out. Color can make or break your home’s interior and exterior design. Let us transform your home – helping you choose the colors that can create the feeling and look you want your home to have. Owner Aaron Voss has a great eye for color and brings his artistic creativity to each and every job. Let Classic Home Painting give new life to your home using the latest color trends and cutting-edge product technology. We are a full-service painting company, transforming empty and well-worn spaces into living quarters and business environments that only existed in dreams. Our services are designed to bring your home or business space to life through interior and exterior painting and custom finishing. From project conception to the final touches, Colorful Concepts Painting is prepared to make your visions come to life with the latest knowledge and advanced painting techniques. At Paintcrafters we strive to provide the highest quality finishes possible. To achieve this, we maintain strict accountability on the job site, use the highest quality materials, and never cut corners or skip steps. The mission of Paintcrafters is to leave every client fully satisfied. We want all of our clients to become repeat clients and to feel comfortable referring our services to others. That is why we make customer service as much of a priority as superior craftsmanship. Sapphire Painting LLC is your one-stop shop for your painting and drywall needs. Whether you are looking for a simple freshening up of the same color, a color makeover, wallpaper removed, or some ceiling or wall texturing, Sapphire Painting LLC can do all that and more! Since 1986, Brush Masters has been providing: Painting, Drywall and Pre-Finishing services to Architects, Custom and National Builders, Remodelers, Commercial Contractors, Woodworking Shops, Cabinet Companies, Millwork Suppliers, Restoration Companies, Property Managers and Designers. 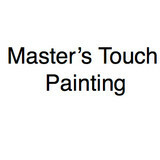 Brush Masters' aspires to give each unique customer the services they need to maker their businesses and projects a success. Palmer Painting is a full service one-stop shop for interior & exterior painting, offering the highest quality residential paint jobs in the Twin Cities. From enameled cabinets, stained & varnished vanity’s, to exterior painting, we’ve got you covered. We’ll guide you through every step – from the budget and color selection to the finish coat and clean-up. We take a great deal of pride in our thorough preparation and customer service. 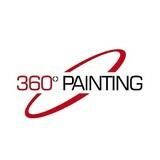 Lakewood Painting was started in 2002 by Matt Lenzmeier who has over 23 years of experience. 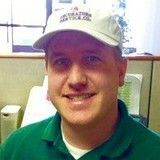 Matt’s focus on customer service and only the highest quality work and products has produced 100% customer satisfaction. Which in turn has created many repeat and referred customer’s. With a flexible size crew of professional and experienced painters we are able to complete most projects large or small. Lakewood Painting’s commitment to first-rate service and quality workmanship has set the standard by which all other painters are measured. The Lakewood crew is clean, courteous, efficient, and extremely skilled. No job is too big or too small. With Lakewood Painting, you not only get a professional painter, but you get an honest experienced friend in the painting business. We work closely with interior designers and general contractors, ensuring the best possible results for you. Our experienced painters guarantee clean, prompt service. Don’t trust your painting needs to anyone with a brush. We offer a wealth of experience and expertise.